In case you haven’t noticed, recliner chairs are definitely not the bulgy pieces of padded fluff they once were. If you’re looking for a recliner to place into your home, there has been no better time to do it than now. There’s been an explosion of different types of recliners, each with their own unique design to fit any aspect of your home. So how will you know which recliner is right for your tastes? Thankfully, buying a recliner isn’t nearly as hard as you might think and we’ve made it easier by putting this list together for you. While there are a ton of great choices out there, we’ve handpicked 3 different types of recliners that we think you’ll enjoy. Rocker recliners have the unique ability to, well, rock. Basically, it’s a rocking chair, but with padding and a footrest. Many people actually enjoy a rocker recliner because it’s a very relaxing way to sleep. The rocking motion is perfect for those who have trouble sleeping and nursing mothers love them because they are a great way to comfort the baby. It also gives the same physical and psychological health benefits of a rocking chair as well, so it’s definitely worth having one of these in your home. Need a lift? 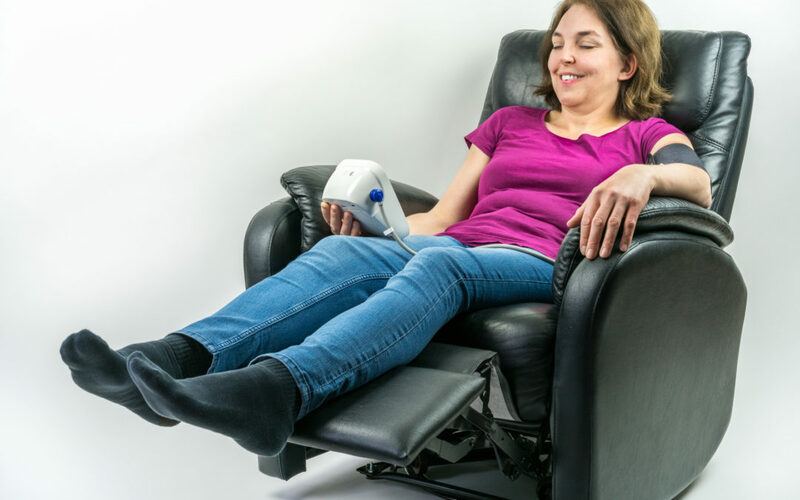 If you have trouble standing up from a seated position then the power lift recliner may be for you! Lift recliners are not only comfortable but help you stand up. With the push of a button, power lift recliners elevate to help you get up. The best part? Nobody will know that it’s a power lift chair until you push the button! When in doubt, never forget the power of a classic recliner. There’s a reason why the classics never fade, and a classic recliner is no exception to the rule. These recliners look good in any room, they’re durable, and now matter how style continues to change, they will still fit the times. At Rainbow Furniture, we carry a large selection of recliners including rocking recliners, swivel recliners, classic recliners, power recliners, high-leg recliners, and reclining sofas. And, you can get your recliner in a selection of styles, fabrics, and colors to complement your space. In the end, no matter what recliner you decide to choose, you can be certain it’ll be a great addition to your home that you’ll love. And in the end, that’s really all that counts. Rainbow Furniture in Fort Wayne has the furniture you need for every aspect of your home, such as recliners, sofas, bedroom furniture, and much more. We also make sure to sell you only the best names in the business, A. A. Laun, Yutzy, Norwalk, Best Home Furnishings, and Saloom. Have any questions for us? We’d be more than happy to answer them. Just give us a call or send us an email, and we’ll be sure to get back to you with an answer. Come check us out. We look forward to having you here.